The 2019 Nissan Sentra has arrived and impresses with its sophisticated design, high-tech cabin features and superb value. From its fuel-efficient engine, low starting price and feature-rich interior to its sporty styling and range of available amenities, the 2019 Sentra is a smart option when shopping for a compact or small sedan. With new standard features for 2019 like Automatic Emergency Braking, the Sentra is now an even better value than before! 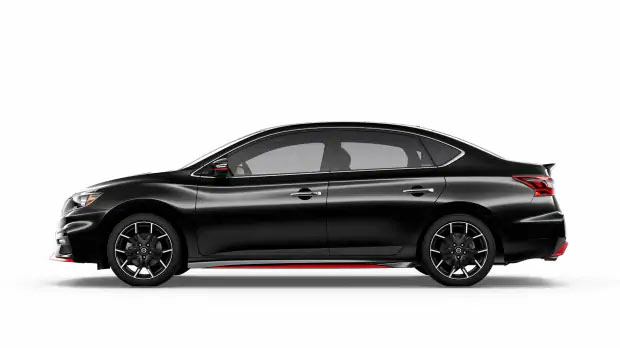 To explore the 2019 Sentra near John's Creek or Atlanta, Georgia, turn to Sutherlin Nissan Mall of Georgia. Our extensive new Nissan inventory includes Sentra sedans in a variety of trim levels that you can browse on our website before your visit to our Buford, GA dealership for a test drive. 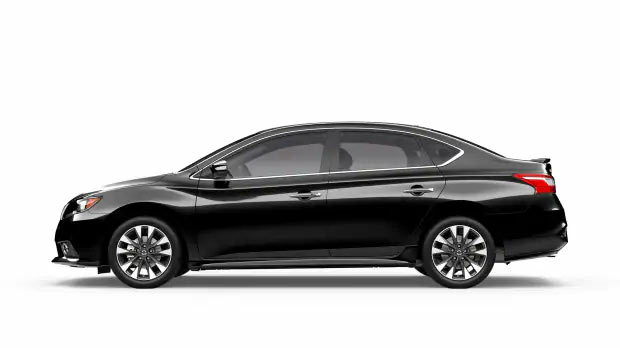 Shop our online inventory now to discover your options for a 2019 Nissan Sentra sedan near Atlanta, GA.
Take a look inside the cabin of any 2019 Sentra compact car and you may be surprised by the level of convenience and technology features on display. For one, all 2019 Sentra sedans provide a spacious cabin for five passengers, multi-way adjustable front bucket seats, air conditioning, and Bluetooth wireless connectivity, plus a large center infotainment display. Even leather-trimmed seating, heated front seats and NissanConnect with Navigation and Mobile Apps are offered on Nissan's latest compact sedan! With the 2019 Sentra, it is clear that you do not have to drive a large sedan or SUV to get Nissan's latest technology features. To find a 2019 Sentra compact sedan near the Atlanta area, shop the extensive inventory at Sutherlin Nissan Mall of Georgia today! While you are shopping for your next car here on our website, why not also get pre-approved for auto financing? The Nissan sales specialists at Sutherlin Nissan Mall of Georgia can be reached by phone if you have any questions prior to your visit. Sutherlin Nissan Mall of Georgia proudly serves drivers near Atlanta, John's Creek and beyond with new Nissan and used car sales and financing, along with expert auto service and genuine Nissan parts in Buford, GA.